In an industrial section of Los Angeles, a fantasy jungle grows inside a warehouse. Populated by animatronic topiary dinosaurs, talking plastic parrots, and an autonomous AI personality named Tessa, this steampunk theme park houses Lost Spirits Distillery. Here, ideas about whisky—and whisky itself—are deliberately challenged, broken apart, and remade. Lost Spirits founder Bryan Davis ushers me aboard a flat-bottomed wooden boat, which he pilots through darkness filled with simulated thunder and wind, toward an “island” of tiny fermenters and pot stills topped with dragon heads. Here, behind a heavy wooden door, in a starkly bare room, futuristic-looking devices emit otherworldly bright light, while hoses snake like tentacles to the ceiling. It all appears too outlandish to be true, but Davis has a slightly mad twinkle in his eyes and chuckles as he tells me, “One thing you’ll catch as you go through this: all the jokes are real.” It would be easy to dismiss Davis as a showman, or even a charlatan, were it not for his whiskies. The first “joke:” Abomination, a peated malt whisky, tastes much like 10 year old Islay single malt, but it’s just 18 months old. The “whisky” (technically a “specialty and proprietary spirit,” per the Alcohol and Tobacco Tax and Trade Bureau) is distilled in Scotland and processed using the sci-fi contraptions, which Davis calls reactors. 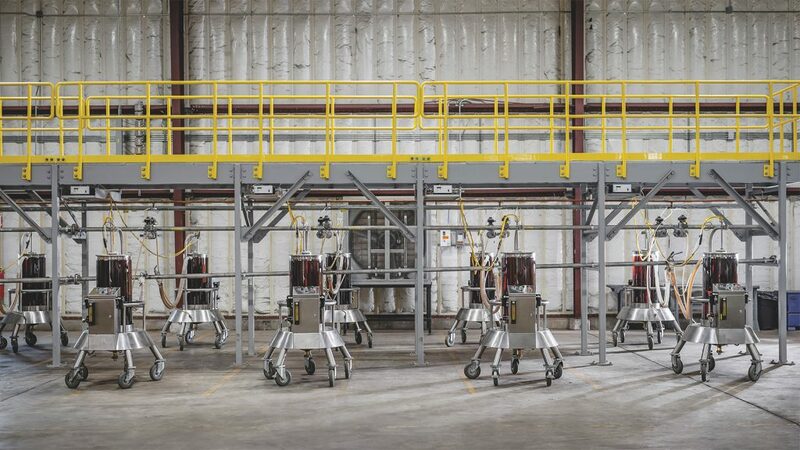 The machines harness light and wood to fully mature unaged or partially aged spirit in just a few days. Tasted blind alongside peated scotches that have spent years in a barrel, Abomination holds its own. “I’m not going to out-Laphroaig Laphroaig,” Davis says, referring to the iconic peated Scotch whisky producer. “We wanted to use the technology to make something that Scotland can’t make—a whisky that was in the canon, familial-ish, but not something they could actually produce.” Abomination is processed with “late-harvest Riesling staves”—another joke. There is no such thing as a late-harvest Riesling stave, since the white wine rarely sees a barrel. Davis uses the wine to strip tannins from pieces of American oak before adding them to the reactor. Lost Spirits is one of a new breed of spirits producers employing proprietary technology to circumvent the long and costly process of barrel aging. No one explicitly uses the words “accelerated aging”—and most repeat the familiar adage that “age doesn’t equal maturity”—but the results speak for themselves. Whisky with the color, aroma, flavor, and mouthfeel found in traditionally aged products is being made without the use of barrels—and you may have already tasted some without even realizing it. The cavernous warehouse of Terressentia Corporation in North Charleston, S.C. has few of the usual trappings of a whiskey distillery. There’s no mashing, fermentation, or distillation going on here, although the facility does produce whiskey. Boxes, bottles, and labels are stacked fifteen feet high. There is a bottling line, a small laboratory, and a few barrels, mostly from MGP Distillery in Indiana and George Dickel in Tennessee. Behind a locked steel door bearing a “No photography” sign lies the heart of the operation: rows of bulk liquid containers known as totes and, tucked among them, squat machines called “Rosies” (named for their resemblance to the robot housekeeper on The Jetsons), buzzing through the patented TerrePURE process. Terressentia was founded in 2007, and for most of its short life, the company has processed other distilleries’ spirits, including sourced whiskey destined for private label retail brands. You’ve probably seen, maybe even tasted these whiskeys, which are sold at Total Wine & More, Liquor Barn, and other stores. About 40 percent of Terressentia’s sales go to export markets. “When the bourbon shortage hit [in late 2012], because we could take very young MGP bourbon and make it drinkable using our technology, we got discovered by European bottlers who could no longer get 3 and 4 year old bourbon,” Hewlette explains. Now, Terressentia has become a distiller itself. In 2014, the company purchased the Charles Medley Distillery in Owensboro, Ky., which had not made whiskey since the 1990s. The facility reopened two years later as O.Z. Tyler Distillery, named for the now-deceased inventor of the TerrePURE process. Last spring, O.Z. Tyler began selling its first bourbon and rye whiskeys, which are aged for at least 6 months (rye) to a year (bourbon) in barrels before undergoing the TerrePURE process at the distillery. (The O.Z. Tyler brand was previously sourced, TerrePURE-processed whiskey.) 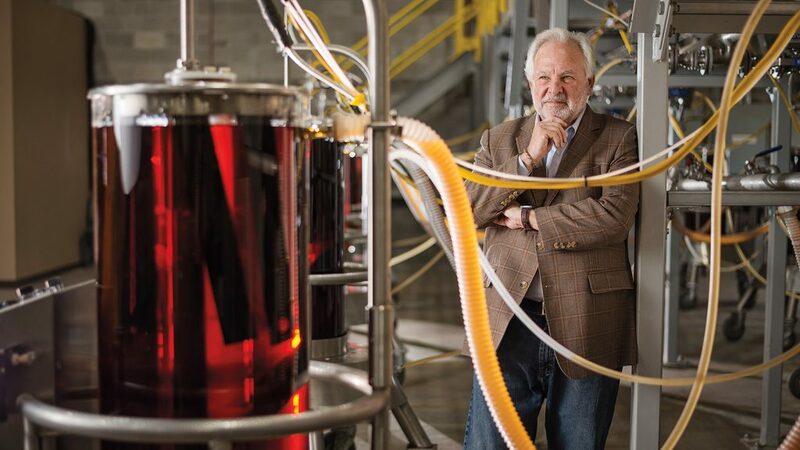 Becoming a distiller, Hewlette says, was a move “to protect our technology and give us financial support to help us grow our technology.” Meanwhile, Terressentia—which already processes spirits for clients in China, Brazil, Mexico, and the Caribbean—is developing mobile Rosie units that can be easily transported to distilleries around the world. “We are first and foremost a technology company,” Hewlette says. Whisky making has been evolving since its inception, and throughout the centuries distillers have been looking for ways to improve the process. The use of copper, column stills, barrel aging, automation: all were innovations at one time. The widely used technique of heat cycling—artificially heating warehouses to simulate or defy seasonal changes that force liquid in and out of barrel staves—has been around since the 19th century. While some tweaks and tricks aren’t openly discussed—often for fear of tarnishing the sepia-toned image of tradition carefully cultivated among so many distillers—those techniques nonetheless shape the whisky that we drink. The particular flavor and character we associate with barrel-aged whisky was discovered by accident, anyway. Barrels, most commonly made of oak, were used to transport new-make spirit from the distillery to market, and at some point people noticed that spirit that had been in the barrel for a while tasted better. Over decades and centuries, barrel aging has become not only an accepted part of whisky making, but in many places, an imperative. Scotch, bourbon, rye, Irish, Canadian, and whisky from many other parts of the world all have a mandated barrel-aging requirement. Improving the flavor of whisky through barrel aging comes at a cost. Not only do distillers have to purchase barrels (brand new ones every time, in the case of whiskeys like bourbon and rye) and build warehouses, but in Kentucky, with the exception of whiskeys bottled in bond, they also have to pay annual tax on the whiskey during its maturation period. Add to that the near-continuous loss of liquid due to evaporation, or angels’ share, and you can see why finding a faster way to mature whisky would be desirable to distillers. What if you could get the same result more quickly or without a barrel at all? Lost Spirits, Terressentia, and Cleveland Whiskey have all experienced backlash against their processes, ranging from angry internet naysayers to cease and desist letters to, in one case, actual threats and intimidation from rival distillers. But they are undeterred. Whisky, they say, will continue to move forward, the way it always has. Even distillers who champion tradition in their marketing are looking for ways to create better whisky for their customers. And customers are buying these whiskies. Hewlette notes that Terressentia’s private-label business consistently grows 5 to 10 percent a year. The numbers alone point to widespread acceptance. A 2016 fundraising period for Cleveland Whiskey netted $711,000 from 951 investors around the world. In 2017, Terressentia processed enough whiskey using TerrePURE to fill almost two million bottles—equivalent to about 80 percent of its entire business. The company first turned a profit in 2015, and generated $26 million in revenue last year, according to Hewlette. It is in discussions to implement TerrePURE for distillers in South Africa, Canada, India, and even Scotland, and already processes whiskey for clients in Kentucky. The taste profile that we’re creating might be similar to a more aged product, but we can’t accelerate the aging process. All we can do is filter away things that aging filters away. Last December, O.Z. Tyler Distillery became a heritage member of the Kentucky Distillers Association (KDA). The membership gives Terressentia a seat on the KDA board of directors and positions it as a peer to Kentucky distilling giants like Beam Suntory, Brown-Forman, and Heaven Hill. This year, O.Z. Tyler plans to expand its facilities to a capacity of 100,000 barrels—only slightly smaller than Wild Turkey—and it’s already contract-distilling whiskey for numerous other brands, though not all of that distillate is processed using TerrePURE. 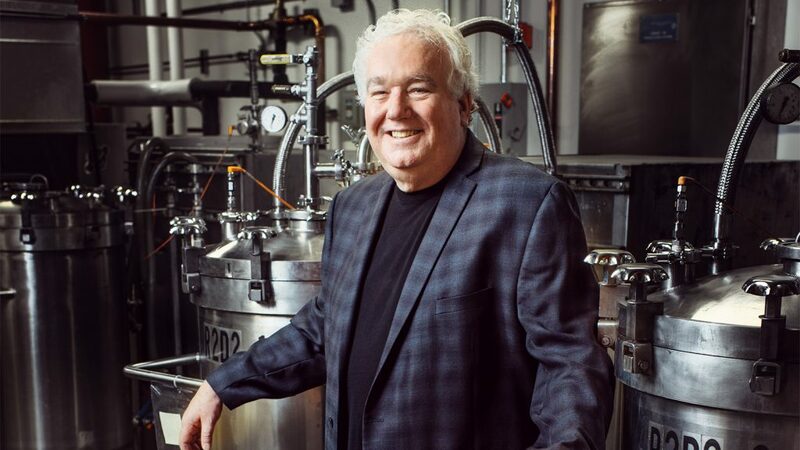 In the big picture, Cleveland, Terressentia, and Lost Spirits are pretty small potatoes (and non-disclosure agreements prevent them from revealing their growing client lists), but at least one major distiller is openly embracing new methods for making whiskey. Last November, Edrington Group—the owner of the Macallan, Highland Park, and Glenrothes scotch distilleries—began selling Relativity American whiskey and Noble Oak bourbon in test markets. The whiskeys are sourced from MGP Distillery, aged for 6 and 12 months in barrels, respectively, and then put through a proprietary heat and pressure process using oak staves. The process was developed by Brain Brew Ventures, a research and development arm of innovation engineering firm Eureka! Ranch. In a world where vegan burgers bleed like real beef and self-driving cars rove the streets, it’s unrealistic to think that any industry, including distilling, would not jump at the chance to use new tools and technology to create products more cheaply, efficiently, and to a high degree of quality. Have no doubt: if remaining competitive means introducing or accepting new methods of whisky making, the majority of distillers are going to do it. How far can this innovation go, and will it materially change what we know as whisky? There are currently limitations to these technologies. For example, Davis hasn’t been able to mature whisky to a specific age point, or to create other styles, like bourbon. But the rapidity of the processes means no one has to wait a lifetime—or even a month—to see if their experiments succeeded. Scaling up to work with large volumes also presents a challenge, but with time and money, that’s a solvable problem. The ultimate trial will occur in the court of whisky drinkers. How much of this type of intervention will we tolerate in our bourbon, scotch, or other whisky? Many people will neither notice nor care, as long as the whisky tastes good. But mention oak spirals or pressure cycles to other whisky drinkers and you’re likely to get a derisive, even outraged response. “With whisky, you’re touching on people’s most deeply held belief systems,” Davis says. “People defend those belief systems to the point of legislating laws around them.” Of course, whisky curmudgeons have previously revolted over specialty finishes, non-age statement scotch, and sourced craft whiskey, only to see these phenomena become widely accepted over time. Legal definitions already offer protection for traditionalists: scotch must be aged 3 years in oak in Scotland, bourbon must be aged in new charred oak containers in the U.S., and so on. But there was a time, not that long ago, when there weren’t any official rules about whisky—when whisky was made far differently than it is now—and yet it was still whisky. There are countries today, like Japan and India, where laws regulating what is and isn’t whisky are nearly nonexistent, and yet, we still drink the blends and single malts that they ship to our shelves. Whisky doesn’t exist because someone wrote it into law. Whisky is whisky because we, the drinkers, agree that it is. The time to do that isn’t coming. It’s already here. Are we ready? Sipping on a 220 year old beer.